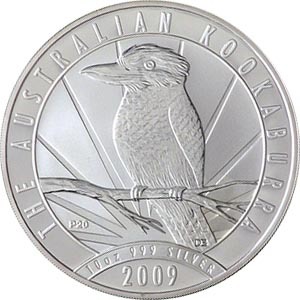 The design of the 10 ounce Kookaburra Coin changes each year, and as such the coin is extremely popular with collectors, who often endeavour to obtain the entire set, going all the way back to 1990. It is for this reason that the coin typically trades above spot value, market value of the coin’s gold content. 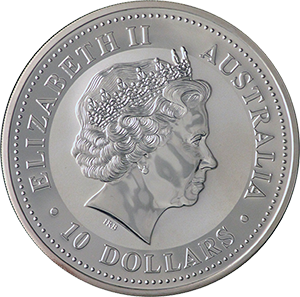 The obverse of the coin always portrays the figurehead of Queen Elizabeth II, which has changed only once due to the updating of the portrait itself to bring it inline with the monarch’s age. 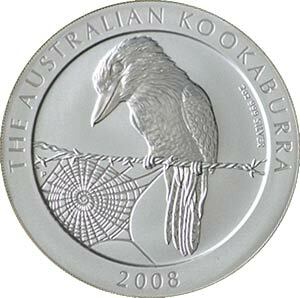 The inverse, instead, depicts the iconic Kookaburra, which along with the Kangaroo and Koala, is thought to perfectly represent Australia and its culture. It is this design that changes year on year, with the only exception of 2015, which showed the coin’s original design in order to mark its 25 year anniversary.